NOTE: Firearm will not be shipped directly to winner, but rather to Federal Firearms Licensee ("FFL"). Winner must comply with all applicable legal requirements prior to taking possession of firearm. Click for complete rules. 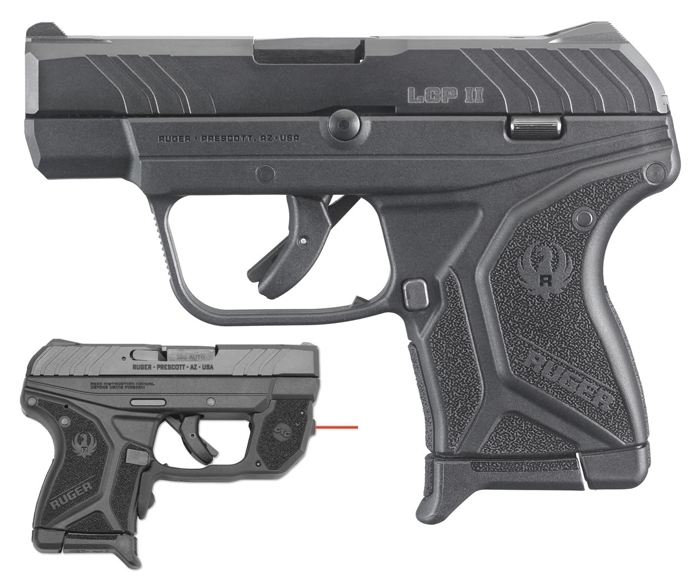 The Ruger LCP® II ($349) Compact and lightweight, the LCP® II is designed to fit a variety of holsters. The LG-497 Laserguard® for Ruger LCP II ($229) is designed specifically for the Ruger® LCP® II. The powerful LG-497 Laserguard® drastically enhances the defensive capabilities of the pistol. User-installed in moments with no modifications to the firearm, the laser sight simply clamps around the trigger guard. Factory sighted at 50', the laser is also fully user-adjustable for windage and elevation using the provided tool. The laser is activated when the firearm is held in a normal firing grip via a front activation button. This is famously known as Crimson Trace's Instinctive Activation™.